Grand Cliff Front Residence a modern, five-bedroom, cliff-front residence with a glamorous Ibiza-vibe and spellbinding views of the Indian Ocean, complete with your own 20-metre private pool, awaits you at Ungasan, Nusa Dua Beach Villas on the spectacular Bukit Peninsula in South Bali – Uluwatu. The five-bedroom Grand Cliff Front Residence is the premier accommodation within the Ungasan Beach Villas group, complete with spellbinding ocean views, a 20-metre private pool, terraces and balconies, a cinema room, a billiard table, a lower deck with a Jacuzzi tub, and an open-sided relaxation gazebo. Here, you will have all the benefits of your own splendid holiday home – including personal butler service, your own private chefs, and the use of a car and driver. 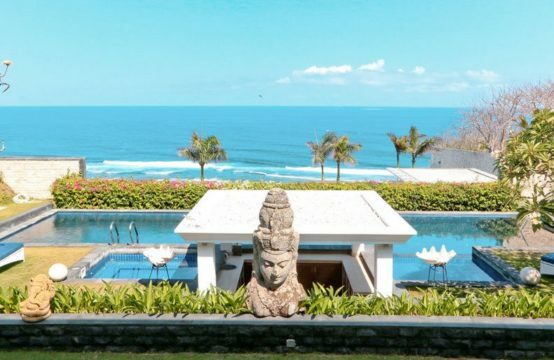 Ungasan Beach Villas rest within the safe gated environment of luxury boutique resort, which has everything that you could possibly require within a secure, walled community. This includes access, via a cable cabin, to the pristine white-sand Beach club, as well as the kids’ club, gym and gourmet restaurant, the main swimming pool, and the fabulous cliff-top Spa offering yet more of those intoxicating sea views. 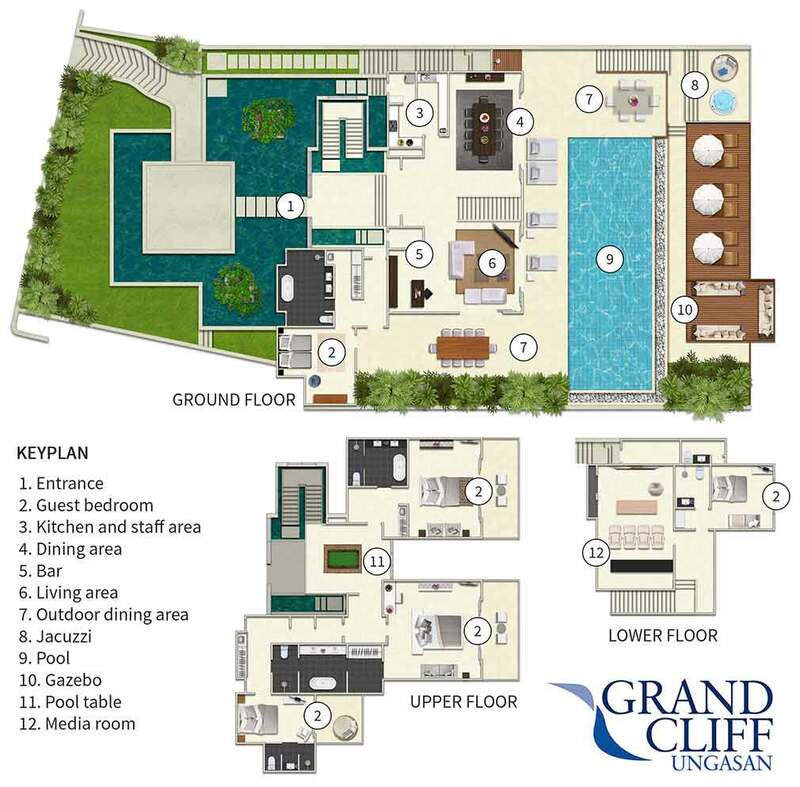 And all of this is only footsteps away from Grand Cliff Front Residence, the estate’s best private villa.